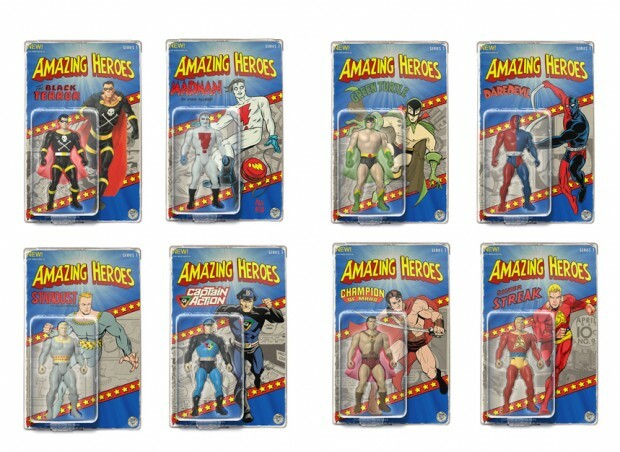 Fresh Monkey Fiction’s Kickstarter-funded Amazing Heroes are now available for pre-order. 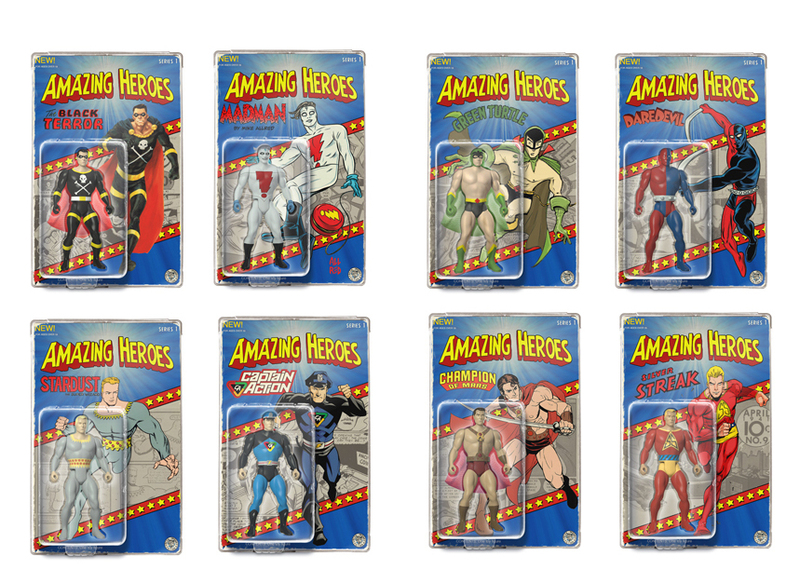 For folks like me who missed out on the company’s crowdfunding campaign, the Amazing Heroes is a collection of 4.5″ action figures based on Golden Age heroes, done in the style of classic Mattel and Kenner figures. 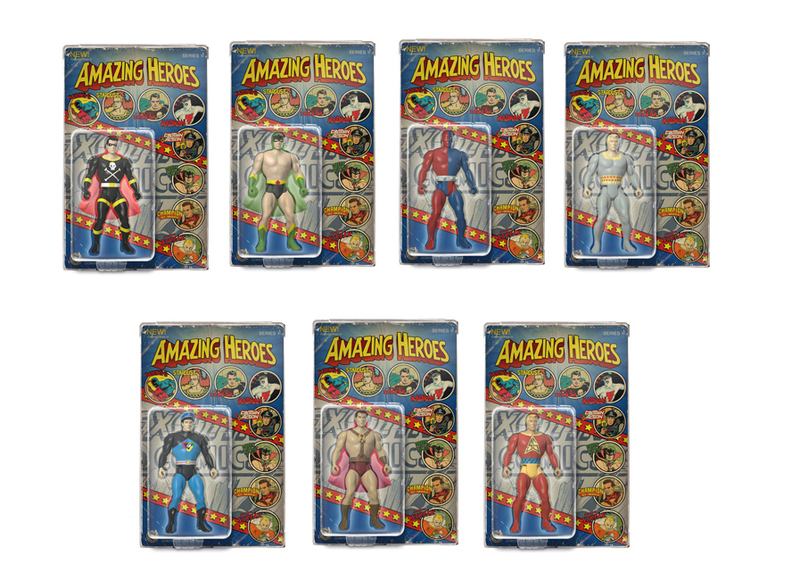 The first batch of action figures consists of The Black Terror, Silver Streak, the Golden Age Daredevil, Stardust, Captain Action, Green Turtle, Champion of Mars and The Blank Slate, which is a classic character with a DIY-friendly, i.e. blank, costume. 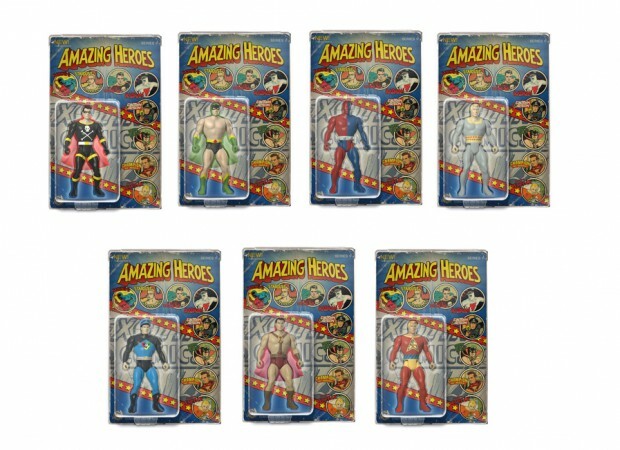 The only modern character in the current lineup is Madman, whose creator Mike Allred included in the lineup to boost the Wave 1.5 Kickstarter that Fresh Monkey Fiction set up to raise funds for the Champion of Mars and Silver Streak, which were supposed to be stretch goals in the company’s first Kickstarter campaign. The video below is Action Figure Resource’s interview with Fresh Monkey Fiction founder Bill Murphy. Each figure costs $15 (USD), but they also have a limited $18 Artist Edition that has each figure’s standard card back as well as an alternative card back. If you’re interested in these toys you should checkout ToyArk’s review gallery so you can get a better look at them.